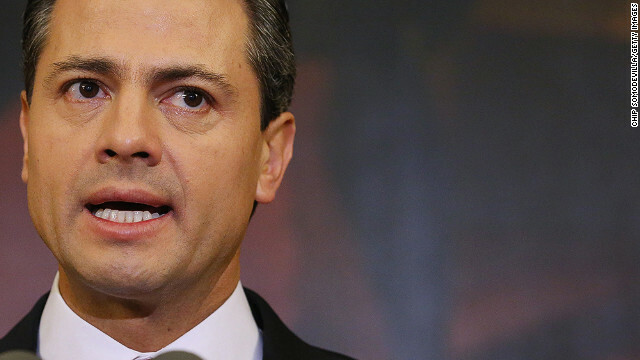 Mexico in 2014: Can Peña Nieto consolidate reform? Editor’s note: Duncan Wood is the director of the Mexico Institute at the Woodrow Wilson International Center for Scholars. The views expressed are his own. This is the latest in the '14 in 2014' series, looking at what the year ahead holds for key countries. Last year will go down as an extraordinary, historic year in Mexico. A number of structural and political reforms that had been pending for 15 years were approved by the country’s Congress addressing education, labor markets, telecoms competition, financial regulation, fiscal affairs, elections rules and energy. The government of Enrique Peña Nieto remained the darling of international investors throughout the year, and received record levels of foreign direct investment in the first year of its mandate, by following through on his promised reform agenda and delivering the legislation needed to prepare Mexico for a more competitive global economic environment. His ruling PRI (Revolutionary Institutional Party) showed coherence and unity throughout the year, and the other major parties agreed to work closely with the PRI to secure legislative progress. The crowning achievement of the year was the energy reform bill that was approved by the Congress on December 15. By opening up Mexico’s hydrocarbons sector to foreign investment for the first time since the 1930s, the reform not only marks a paradigm shift in Mexican thinking about oil and gas, but offers the very real prospect that major investment will result in rising production, strengthened reserves and the direct and indirect creation of hundreds of thousands of high quality jobs for Mexican citizens. Pakistan in 2014: Time ripe for a virtuous cycle? Editor’s note: Robert D. Lamb is senior fellow and director of the Program on Crisis, Conflict, and Cooperation at the Center for Strategic and International Studies in Washington, D.C. The views expressed are solely those of the author. This is the latest in the '14 in 2014' series, looking at what the year ahead holds for key countries. 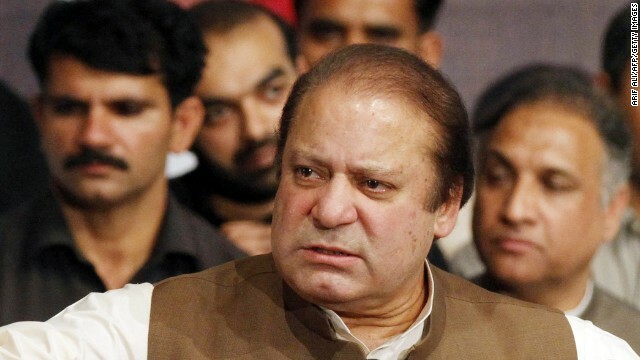 During U.S. Defense Secretary Chuck Hagel’s meetings last month with Pakistani Prime Minister Nawaz Sharif and new Chief of Army Staff Gen. Raheel Sharif, the two countries traded familiar complaints: for Pakistan, the continuing U.S. drone strikes against targets in Pakistan’s sovereign territory; for the United States, the ongoing use of Pakistani territory as a safe haven for Taliban, Haqqani network, and other militants fighting in Afghanistan. But they also reaffirmed the importance of the partnership, given their shared concern over the very real threats to Pakistan’s stability: armed militants attacking Pakistani state targets, sectarian and political violence increasing intercommunal tensions, terrorist groups threatening India with cross-border attacks and increasing on-again-off-again tensions with its larger neighbor, and devastating energy and economic crises that keep tens of millions of Pakistanis in poverty and threaten Pakistan’s social cohesion. Pakistan is a country that is too big to fail: its population is large, it has nuclear weapons, and its extremist groups have international connections. 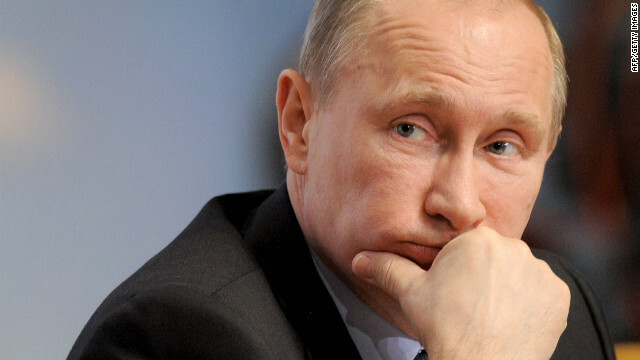 Instability there would affect too many international security concerns to ignore. Editor’s note: Frederic Grare is senior associate and director of the South Asia Program at the Carnegie Endowment for International Peace. The views expressed are his own. This is the latest in the '14 in 2014' series, looking at what the year ahead holds for key countries. As the U.S. exit from Afghanistan nears, we can expect to hear steadily more about the lessons we should have learned since international intervention in the country back in 2001. But one dimension of the Afghan effort that might get overlooked next year is this: how has the Afghan conflict impacted transatlantic solidarity? The short answer is that transatlantic relations may well be another long-term victim of the war in Afghanistan. The Afghan operation started as a spectacular demonstration of the solidity of the transatlantic alliance in the aftermath of September 11, 2001, when NATO activated Article V of its collective defense clause for the first time in its history. But the limits of cooperation were quickly demonstrated, eroding the foundations of transatlantic solidarity. Whether they can be fully restored remains to be seen. Afghanistan has been a story of frustration on both sides of the Atlantic. One of the early disagreements was over the relative importance of military operations versus a broader political approach – while the United States tended to focus on the former, European states emphasized the latter. The resources that each side was capable and willing to engage in Afghanistan played a role in this initial difference, but this doesn’t explain everything. Europeans had a genuine problem with the U.S. approach, which, over the years, kept focusing on security at the expense of politics and a sustained effort at national cohesion. As a result, all Afghan political institutions were created in a way that reflected Washington’s desire for expediency rather than a need to ensure the political system’s sustainability. Torn between their willingness to demonstrate solidarity with Washington after 9/11 and their perception that the goals of the mission, as defined by Washington, were unachievable, many European countries limited their investment to the minimum and sought instead to bring their troops home. Others, in particular the closest American allies, decided to stick to U.S. strategy even when they knew it was bound to fail. These allies paid a heavy human, financial and political price, but seemed to take some absurd comfort in the fact that the failure would be a collective responsibility. In parallel, the temptation in Washington to blame the Europeans for the coalition failures in Afghanistan grew as it became increasingly clear that, despite the official rhetoric, the United States had achieved none of its objectives. 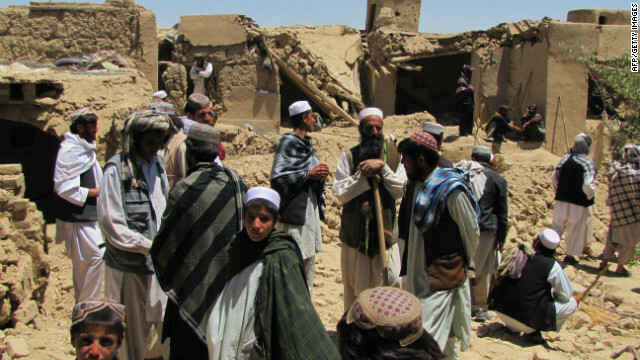 If al Qaeda has been weakened, none of its local affiliates has been eradicated and its reemergence remains a possibility in 2014 and beyond – the reality is that the Afghan state that is emerging from the reconstruction effort is in no position to prevent this happening on its own once U.S. forces have withdrawn next year. Ironically the impending exit from Afghanistan has only exacerbated ill feelings on both sides of the Atlantic. In spite of the principle “in together, out together,” Washington decided unilaterally to withdraw, but felt let down when some of its partners decided to anticipate its own departure. The consequences of this mutual frustration are unlikely to be spectacular. European states are too dependent on the United States for their own security to snub Washington. Nor is Afghanistan the sole reason for Washington’s diminishing commitment to European security. With the existential threat of the Soviet Union long gone and given European governments’ dwindling capacity to contribute to collective security, the continent no longer constitutes a strategic concern for Washington. At the same time, the war-weary and fiscally-stressed United States is increasingly reluctant to commit to foreign military adventures. These two phenomena, neither of which is directly or exclusively related to Afghanistan, are pulling the two sides of the Atlantic apart. Future conflicts may not exactly look like Afghanistan, but there is a good chance they will share some of its characteristics, in particular the primacy of politics and the relatively secondary character of military force. In Afghanistan, most U.S. allies concurred with the perception that the conflict could not be solved kinetically. However, for a variety of reasons, they never really stood against that dominant U.S. paradigm. Instead, they let themselves become part of a succession of U.S. military strategies that all proved short lived. The result of all this is a collective failure that from next year will very likely translate into a loss of credibility not just for the U.S., but for the entire Western alliance. Editor’s note: Steven A. Cook is the Hasib J. Sabbagh senior fellow for Middle Eastern Studies at the Council on Foreign Relations and the author of The Struggle for Egypt: From Nasser to Tahrir Square. The views expressed are the writers’ own. This is the latest in the '14 in 2014' series, looking at what the year ahead holds for key countries. Egypt hasn’t made international headlines for a while, but Egyptians themselves have still been making news. The crackdown on the Muslim Brotherhood that began after a coup toppled embattled President Mohammed Morsy in July has extended through the end of 2013, and will likely continue. At the same time, a low-level insurgency in the Sinai Peninsula has occasionally reached into major cities like Ismailiyya and Cairo. The government’s approach to the violence seems to be based solely around bringing as much firepower to bear on the perpetrators as possible. But while there might be some success in killing some terrorists and criminals, the complexity of the situation on the ground means this strategy will likely do little to change an environment where extremist elements thrive. 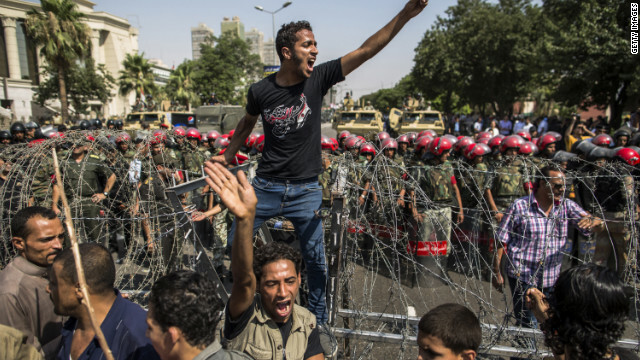 Beyond the security situation, Egyptian politics are likely to remain fraught. After the coup, the military-backed interim government issued a roadmap for the restoration of democracy. Never mind the fact that there was no democracy to restore – Egyptian officials have been faithful to the transition they set up after the military’s July intervention. Since interim President Adly Mansour accepted constitutional revisions that first a committee of ten legal experts, and then a broader group of fifty, debated and further refined, the constitution will be put to a referendum on January 14 and 15. The roadmap calls for parliamentary elections within 15 days of the draft document’s passage, and then finally presidential elections within one week of the parliament’s first session. Mansour is currently studying the idea of flipping presidential and parliamentary elections. Regardless of what he decides, Egyptians will carry out the remaining aspects of the roadmap relatively problem free, but this does little to resolve three core issues that will destabilize Egyptian politics in 2014. 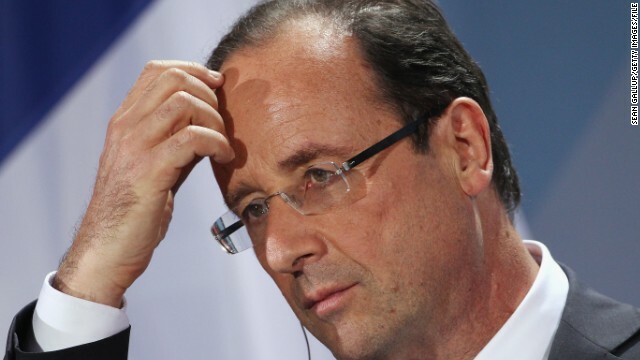 France in 2014: Another annus horribilis for Hollande? Editor’s note: James Shields is professor of French politics and modern history at Aston University in the U.K. He is the first winner of the American Political Science Association’s Stanley Hoffmann Award for his writing on French politics. The views expressed are his own. This is the latest in the '14 in 2014' series, looking at what the year ahead holds for key countries. How long is France’s presidential term? Five years. How long has President François Hollande been in office? Twenty months. 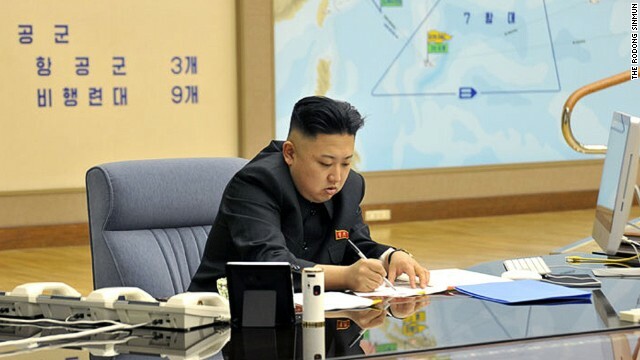 By the laws of simple arithmetic, that should leave him three years and four months – fully two-thirds of his mandate – to pursue his reform agenda at the head of his Socialist administration. But presidencies don’t operate according to the laws of simple arithmetic. “Can Hollande act anymore?” asked the influential left-leaning daily Le Monde in its front-page headline of October 29. The financial daily Les Echos was more pointed still, pronouncing “The end of Hollande’s five-year term” and declaring the president to have no prospect of proceeding with further reforms. Though his full term of office and extensive powers remain constitutionally guaranteed, there are two reasons for this rush to bring the curtain down already on Hollande’s performance. The first reason lies in the dynamics of governing within fixed terms framed by elections. As the World Bank noted in its report, Doing Business 2007 – How to Reform, nearly 85 percent of economic reforms tend to take place within the first 15 months of a new government taking office. In other words, the time to implement ambitious reforms is at the start of a government’s term while its mandate is fresh, and before re-election and the temptation to play it safe become increasingly pronounced factors in government strategy. Editor’s note: Michael Rubin is author of Dancing with the Devil: The Perils of Engaging Rogue Regimes, forthcoming in February 2014. The views expressed are his own. This is the latest in the '14 in 2014' series, looking at what the year ahead holds for key countries. The past year was a time for change in Iran. Iranians went to the polls and elected Hassan Rouhani who, after Mahmoud Ahmadinejad’s eight year interlude, returned Iran’s presidency to the reformists. 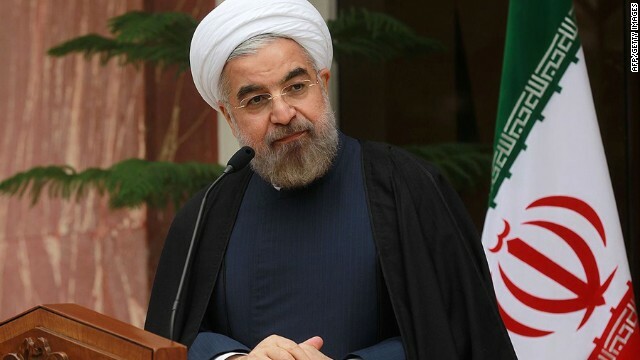 Rouhani’s diplomatic charm offensive, telephone call with President Barack Obama, and tentative nuclear deal suggested a new international posture. But just as important were Rouhani’s domestic actions. During the Ahmadinejad years, the Islamic Revolutionary Guard Corps (IRGC) had gained unprecedented political and economic power. More parliamentarians, governors and deputy governors, ministers and deputy ministers were veterans of the IRGC than at any time in the Islamic Republic’s history. Ahmadinejad himself was the first president who gained his legitimacy from time spent in the military during the Iran-Iraq War rather than in revolutionary clerical circles. The past became present, as informal networks of battle buddies from the Iran-Iraq War trenches trumped the formal political wire diagram in Islamic Republic decision-making. Herein lies the challenge. While expectations are high that Rouhani will transform the Islamic Republic at home and on the diplomatic stage, it is not clear that he can or even wants to do so. True, Rouhani quietly moved to unravel the IRGC’s chokehold on Iranian politics, but he has replaced ministers and fired governors whose backgrounds were in the IRGC in many cases with veterans of the intelligence service, equally despised by ordinary Iranians. Indeed, extricating the IRGC from the economy will be difficult: Khatam al-Anbia, the IRGC’s economic wing, controls up to 40 percent of the economy and Ahmadinejad awarded the group billions in no-bid contracts in the energy sector alone during his administration, a position the IRGC is unlikely to abandon and which effectively gives the elite military budgetary autonomy. Editor’s note: John Campbell is the Ralph Bunch Senior Fellow for Africa Policy Studies at the Council on Foreign Relations and the former U.S. Ambassador to Nigeria from 2004 to 2007. The views expressed are his own. 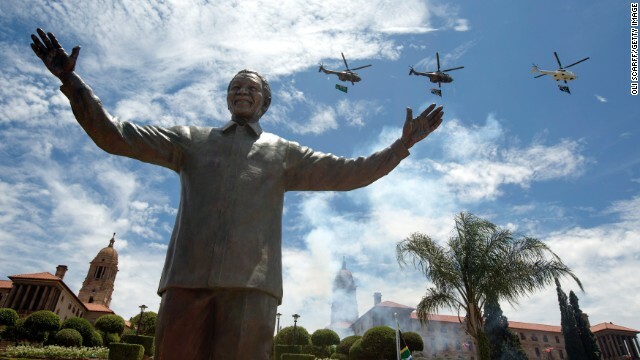 South Africa and the world have, since his death on December 5, been in the grip of a celebration of Nelson Mandela’s life and legacy. Yet the country will be moving quickly on, with the nitty gritty of national elections in March 2014. 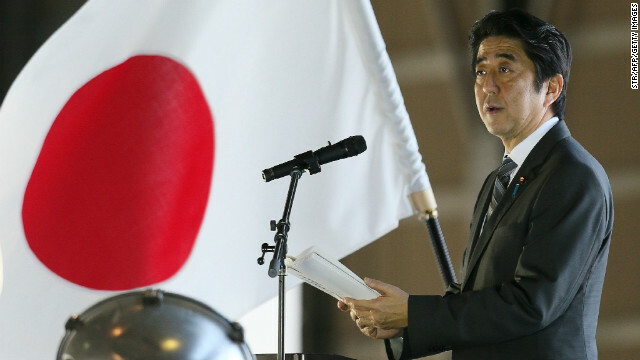 This process, and the formation of the resulting government, will dominate the first half of the year. Mandela was the public face of the governing African National Congress (ANC), which has always benefited from his halo effect. President Jacob Zuma no doubt hopes that will continue. The ANC is the dominant element in a ruling coalition with the South African Communist Party (SACP) and the Congress of South African Trade Unions (COSATU). SACP and COSATU contest elections under the mantle of the ANC, not as separate political parties. Throughout his life, Mandela was an unstinting ANC party man. In the aftermath of his death, some mourning events have had the coloring of a party rally. The party and President Zuma are doing all they can to maintain an association between Mandela and the ANC. But Mandela’s death also highlights the gulf between his ideals and current South African reality. When he appeared on the screens during the memorial service, Zuma was booed.